Otherwise someone like me does it and the system gives me the credit. And I don't think I need the credit. 2019 bump, I re-recorded and uploaded a new version of the VHS. Properly cut down to time and much, much better quality. I'll bump again when I've got a raw version uploaded somewhere. Thank you for re-ripping the tape, but there seems to be something causing interferences nearby? Nope, just degradation of the tape over time. edit: That's why we need to work hard to rip these things sooner than later. 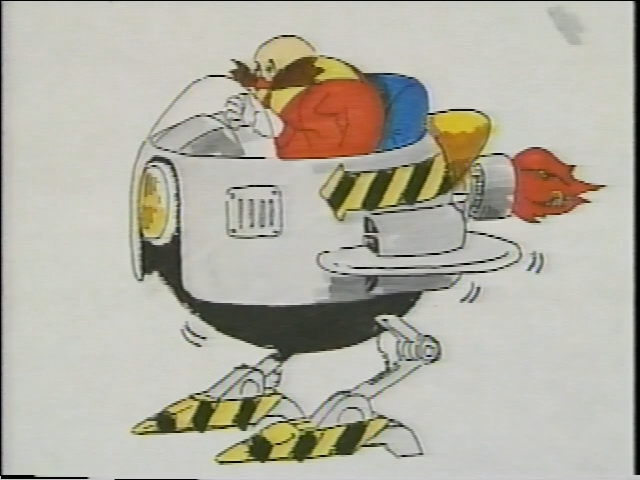 That image of Eggman kidnapping Tails in the strange, winged Eggmobile continues to baffle me as one of the strangest concept art pieces in Classic Sonic media. Heh - the video refers to Sonic's quills as his hair. 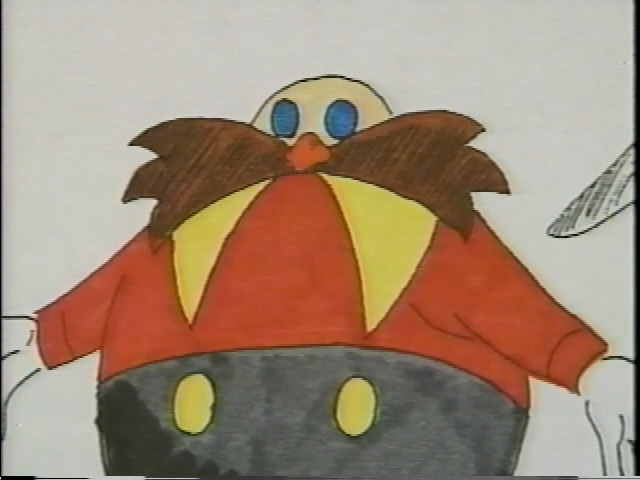 Also, could that flapping-Eggmobile concept art be a scrapped Special Stage idea? It would certainly fit with the 3D perspective angle they were going with. 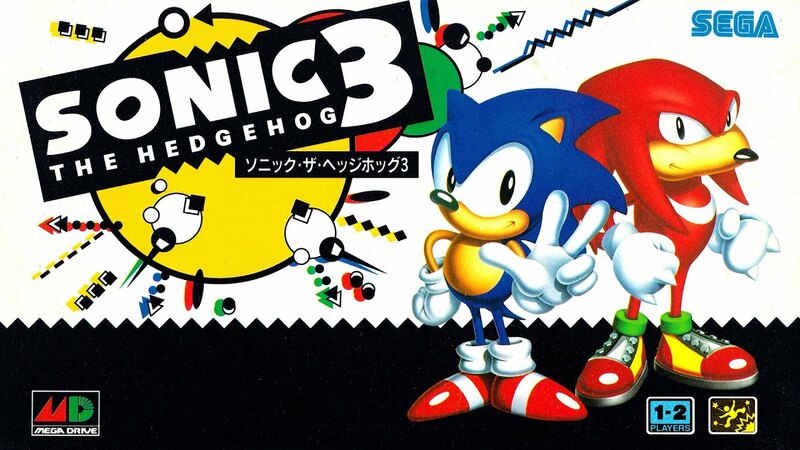 Speaking of special stages, was that "Sonic circling the Earth" thing just a weird mockup for the video - as if it's saying "Sonic's popular all around the world"? Or does it have a connection to the Blue Spheres special stage, given that it was based on Kaio-sama's planet in DBZ? Blue Sphere is based on that? Source? To be fair, I searched 'Blue Sphere dragon ball z' and checked the wiki, and got nothing. I didn't really go further than that out of laziness. Also, could that flapping-Eggmobile concept art be a scrapped Special Stage idea? It would certainly fit with the 3D perspective angle they were going with. 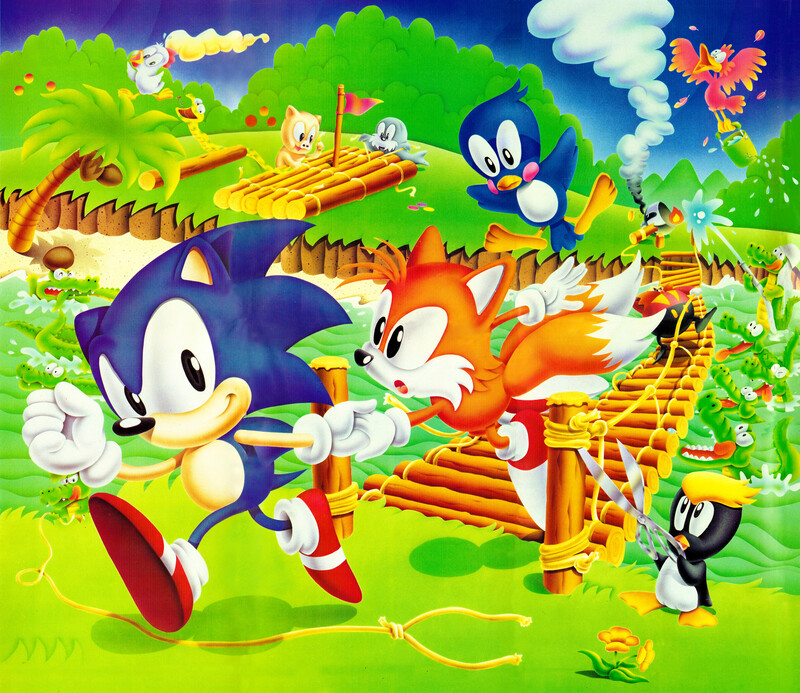 It would make sense for it to be an early idea for Sonic 2's Special Stage. It looks like Sonic's in some kind of vehicle, so there's also the possibility that it was for another children's arcade ride? That bird though - same artist? Certainly looks like the same artist, going by the bird! 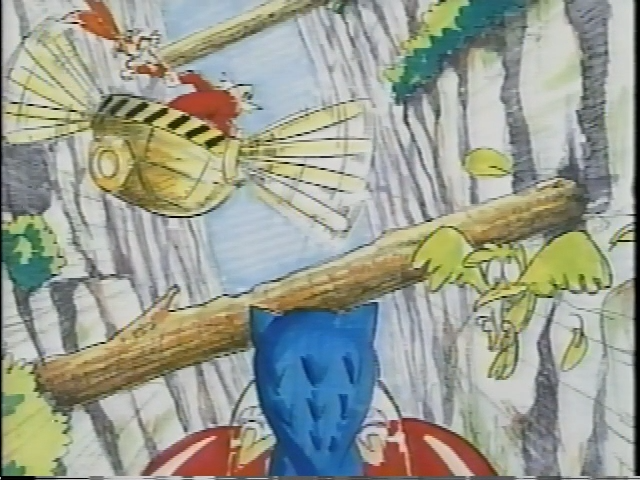 Also, if it was a scrapped Sonic 2 Special Stage, it could have been re-jigged as Sky Chase Zone's plane sections which are a bit of an anomaly within the core gameplay. I have an upload of the tape (not my recording, but yeah) on my channel with subs if you're interested.